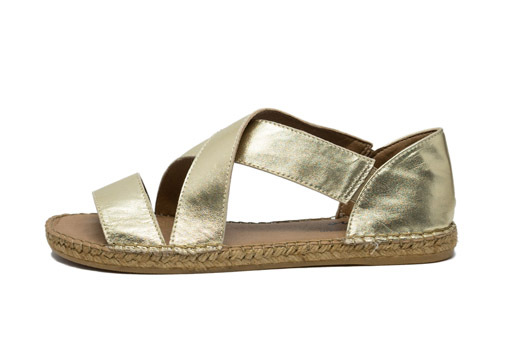 Our Beach style sandals offer the traditional jute lining and classic look of espadrilles, but with a smaller and more feminine sole and silhouette. 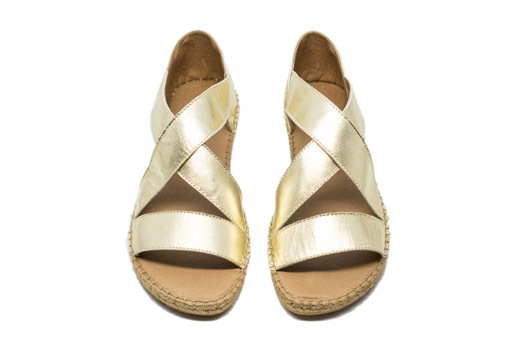 The Beach style in Gold offers a modest metallic shine to update any look. Handmade in Spain, Laro espadrilles have vulcanized rubber soles and are crafted with high quality leather.